Old Shawls Farm is situated in the stunning Black Mountains and has excellent safe working facilities. With breathtaking riding country you can ride in the hoofprints of ancient horseman along the Offa’s Dyke, old drovers roads and bridleways that lead to abby ruins and standing stones. 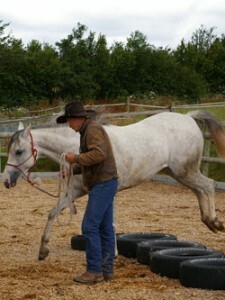 With a relaxing atmosphere and abundance of wildlife both horses and people really enjoy coming here. Wooden cabin available for you to stay in during your course.